Timothy’s father was a Greek and his mother a Jewess, as was probably his grandmother Lois. Timothy was not circumcised as a baby—due, no doubt, to the fact that his father was a Greek—but received instruction, probably from his mother, Eunice, in the Hebrew Scriptures. Both Timothy’s mother and grandmother are described by Paul as ‘faithful’ which leads us to infer that they were Christian believers. Timothy appears to have had some physical problems—the apostle referring on one occasion to his ‘many ailments’ (1 Tim. 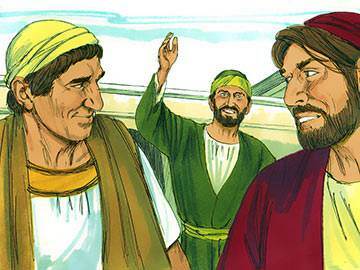 5:23)—but nevertheless he served the Lord with great sincerity and zeal, often in difficult and dangerous situations. Timothy was born at Lystra, and was probably brought to Christ through Paul’s ministry during his first missionary journey to that city. 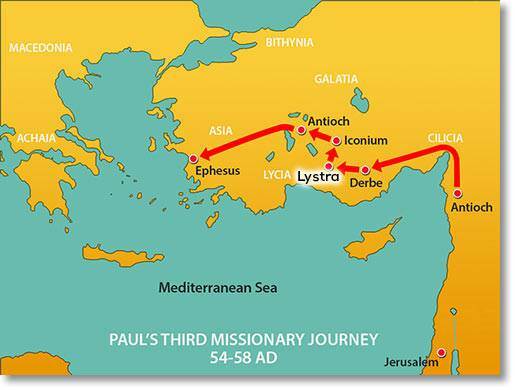 When Paul visited Lystra for the second time, he found that Timothy was highly regarded by the Christians there, and also by those at Iconium (Acts 16:2), so he invited Timothy to join him on his missionary journeys. 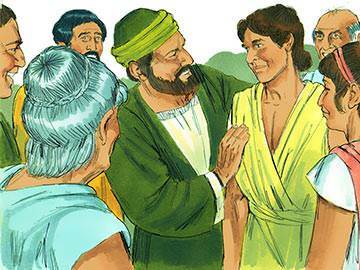 At this time in Paul’s ministry, Silas had replaced Barnabas, and Paul was doubtless looking for a replacement for John Mark also. A strong bond of love and affection developed between Paul and Timothy, causing the apostle to look upon Timothy as his ‘spiritual son’ (1 Tim. 1:2 & Phil. 2:19-22). In modern times, little emphasis seems to be laid on such terms as ‘fathers in Christ’, or ‘mothers in Israel’, yet such phrases were often used in times past to describe relationships within Christ’s Church. Can the reason be that there are so few true spiritual ‘fathers’ and ‘mothers’ in the Church of today? When Timothy joined up with Paul and Silas on their missionary travels, he entered into a completely new way of life which necessitated that he should become ordained. Ordination, in those days, required the ministry of the ‘laying on of hands’, and Timothy is brought before the church for their approval and commendation, whereupon the elders lay their hands upon him, along with the apostle Paul, and he is set apart for the work of the ministry. We have no way of knowing whether or not the laying on of hands by the elders and the apostle took place simultaneously, and so we can safely assume that both events happened at around the same time. Ordination is a highly debated issue in the Christian Church of today. Some are for it—others against. What do you think? In the widest sense of the word, every Christian has been ‘ordained’. Read Acts 13:48 (Authorised Version) and you’ll see. It becomes quite obvious in reading the story of Paul’s travels that he took a great liking to Timothy. Travelling companions usually get closer to each other—or else farther apart. In this case, their friendship and fellowship deepened the more time they spent together. When they arrived in Berea, however, the party was split up as a result of the persecution that swept down upon the Christians there, and it was some time before Silas and Timothy caught up with the apostle Paul. They eventually met up again in the home of Aquila and Priscilla in Corinth. Timothy later accompanied Paul on the journey to Jerusalem to distribute the offerings collected by the Gentile churches for their fellow believers in that city. It’s truly a wonderful thing when Christians who are teamed up together by Christ develop an increasing spiritual affection for each other. But it doesn’t always happen that way. Some relationships are easier than others, but all, to some extent, have to be ‘worked at’. Paul took great pains over the well-being of the churches, and wrote letters to both Timothy and Titus which, because of their enduring value for Christians down the ages, are included in the New Testament. 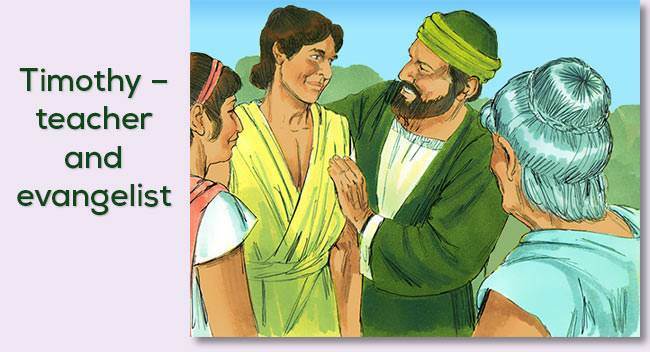 He counselled Timothy on many things, not the least on the way to look after his health. 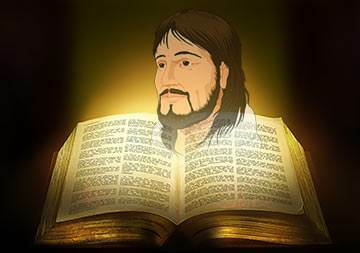 Special directions were given also on how to become a good minister of the Lord Jesus Christ, and the qualifications Timothy should look for in those chosen to be leaders in the local churches. 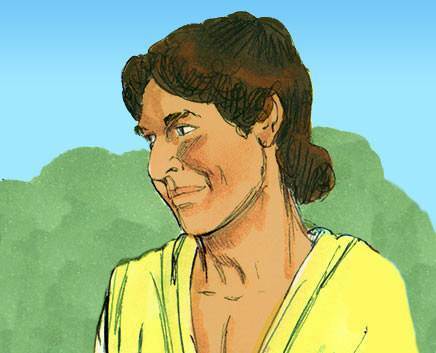 Paul’s instructions to Timothy carry the spirit of a father talking to his son, and Paul’s high opinion of Timothy shows the latter to have been an attentive and obedient ‘son’. It is not given to us to trace the history of Timothy’s godly mother and grandmother except to say that they were of the Dispersion. It is highly probably that they were connected with the Babylonian Jews whom Antiochus settled in Phrygia three centuries before. The marriage of a religious Jewess like Eunice was not uncommon among the Jews of the Dispersion as the husband would, no doubt, have been a proselyte. This mixed origin gave Timothy an intimate knowledge of both Jewish and Gentile worlds. When Timothy became Paul’s companion, Paul felt it prudent that he took on the full identity of the Jew through circumcision. Paul was not being inconsistent as he had previously argued against the need for circumcision, for that was in relation to salvation. In this instance, because much of his preaching was in the synagogues, he was concerned lest Timothy’s presence should create a barrier in his being viewed as an uncircumcised heathen. Here, in one of the great “3:16s” of the Bible, Paul reminds his ‘son’ in Christ of the power that is resident in Holy Scripture. 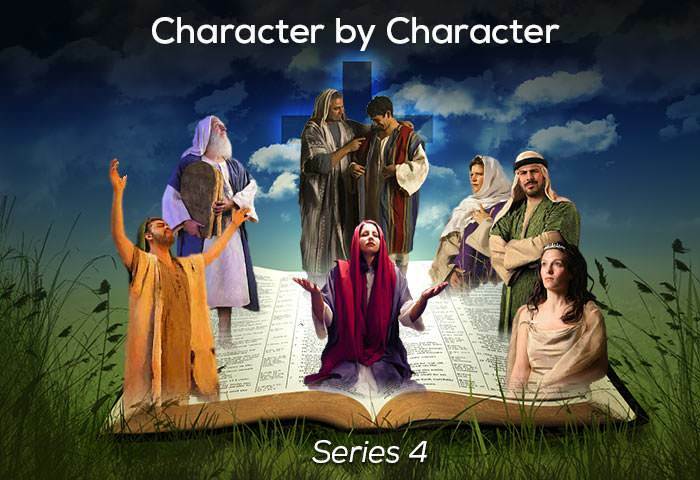 Although Timothy had been brought up by a Jewish mother and was doubtless well instructed in the Scriptures, he must now look at them through Christian eyes and learn how they show the way of salvation through faith in the Lord Jesus Christ. Paul reminds Timothy that all Scripture is inspired—or ‘God-breathed’—and has a fourfold influence in the life of believers: it is profitable for (1) teaching, (2) rebuking, (3) correcting and (4) training in righteousness. Timothy is also charged to preach the word faithfully at all times (2 Timothy 4:1-2). We may understand Scripture from many different perspectives, but we do not fully understand it until we see that its main focus is Christ. Just as there is a road from every city, town and hamlet in Britain that leads to London, so there is a path from every Bible text that leads to Christ. Bible study is not effective until it finds that path. Like many of the early Christians, Timothy experienced imprisonment for his faith. 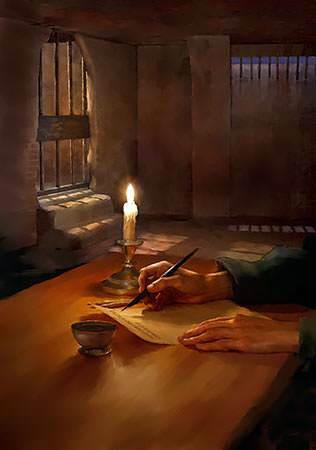 We do not know quite where or when he was imprisoned, but we do read of his release (Heb. 13:23). 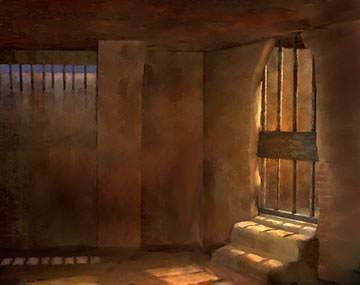 During Paul’s lifetime, Timothy no doubt saw the inside of many Roman prisons—if only as a visitor—as Paul spent a good deal of his time incarcerated for the sake of the Gospel. Timothy was evidently a great encouragement to Paul, and his name appears in the opening greetings to the Philippians and the Colossians—letters written by Paul from prison. One of Paul’s last requests during his final imprisonment was directed to Timothy: “When you come, bring the cloak… also the books, and… the parchments” (2 Tim. 4:13, RSV). How would you feel if you were given a three-month prison sentence for telling the story of Christ? It doesn’t happen today—well, at least not here in the West. But, as many Christians predict, it could happen at some future date. You might not want to go to prison for Christ—but would you be willing? The lesson we draw from his life is found in what must be one of the highest commendations ever given: “I have no one like him, who will be genuinely anxious for your welfare” (Phil. 2:20, RSV). Are you deeply concerned over the spiritual growth and development of those among whom God has placed you? If not, then pause right now, and listen… learn… and imitate.